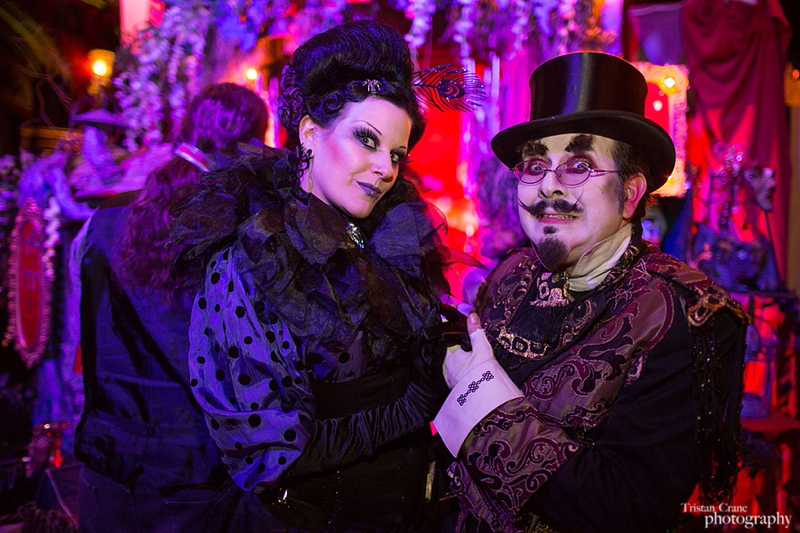 This is one of my favorite events to photograph, the Edwardian Ball gets better (and more crowded!) every year. People really bring their full costume game to this event, it’s really a special place. I was fortunate to work with the Mystic Midway to document their installation ‘Stories of Gold’ and here’s the result. View the full gallery of my images from 2016 here. Ever year I try to make it to the Dickens Christmas Fair at least once. What can I say? I’m a sucker for top hats. Dickens fair is a blast, drawing huge numbers of people with far better sewing abilities than I possess. The eye candy is through the roof, and the lighting is regrettably bad. In between cups of mulled wine, I managed to get a few shots worth sharing. The irony of re-creating London in San Francisco isn’t lost on many people. It was foggy, rainy, and gross the day we went. Perfect! The windows of the Dark Garden Corset’s booth are always a big hit. These kids were trying to decide if the models were real. Author tristancrane@gmail.comPosted on December 13, 2010 Categories UncategorizedTags costume, dickens fair, event, san francisco1 Comment on Dickens Fair! Over the weekend I did several shoots, here’s a teaser from one with Ms. Honey Penny, a burlesque performer, seamstress, and all around lovely person.